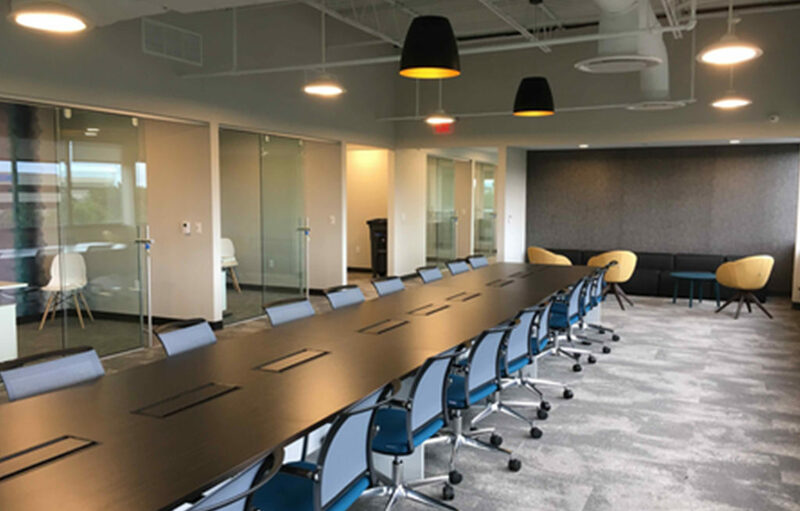 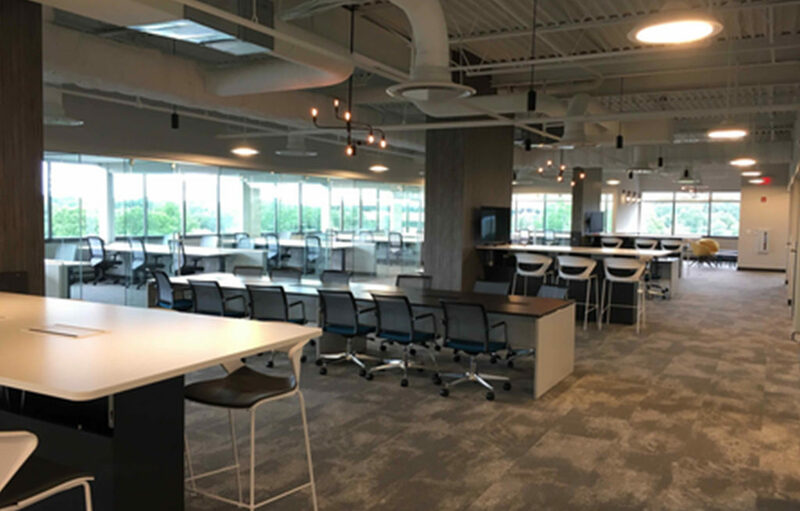 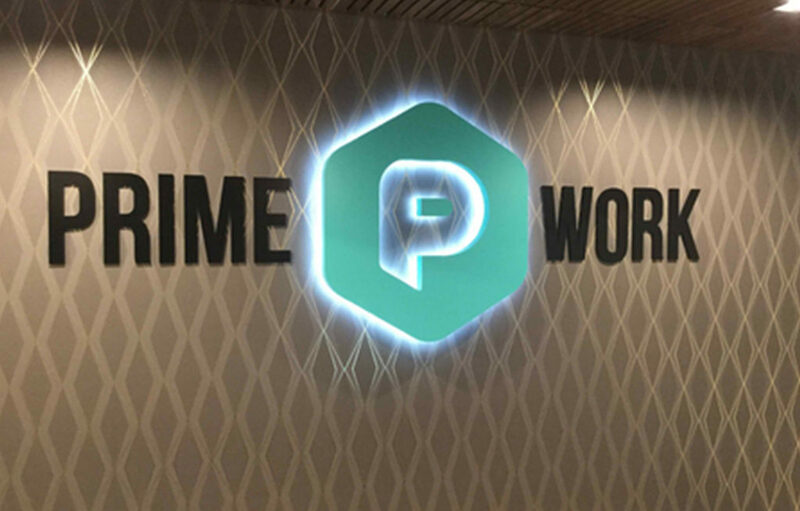 This project included a complete floor renovation for PrimeWork’s new short-term, all-inclusive office space where fledgling companies can utilize upscale office space and common area amenities. 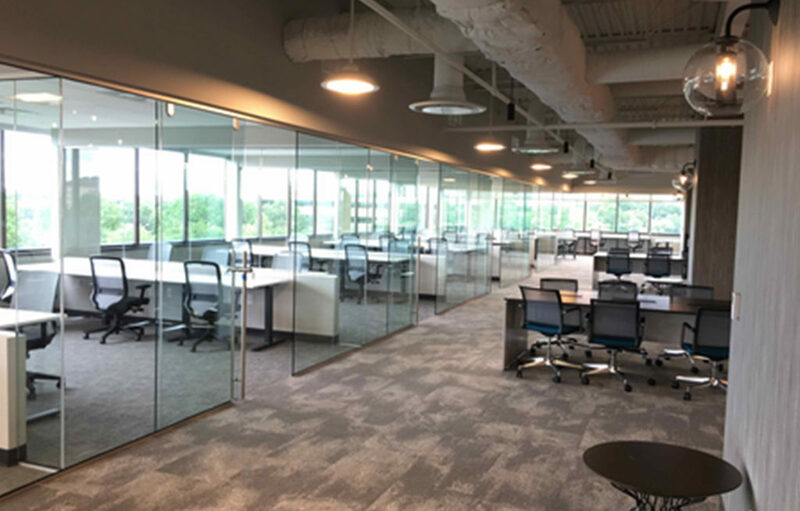 The project consisted of new LED light fixtures, glass office fronts with sliding glass doors, polished concrete flooring in the reception and collaborative/pantry/lounge area. 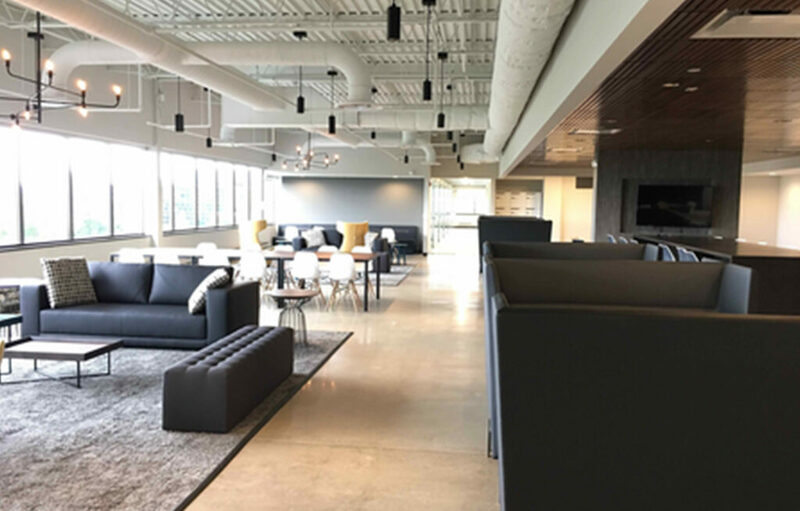 The painted exposed ceiling and circular ductwork in the open office area provided the feel of a loft. 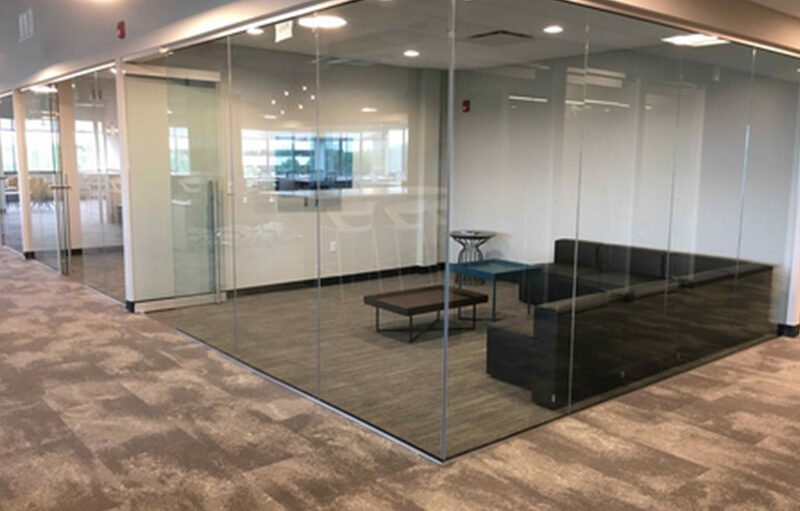 The project was completed in 16 weeks.